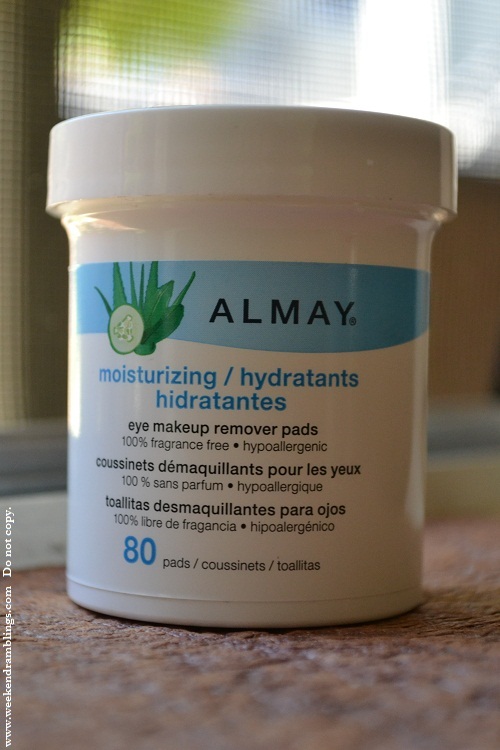 Almay Moisturizing Eye Makeup Remover Pads - Soothing liquid remover in a convenient pad form, infused with a botanical blend of aloe, cucumber and green tea to nourish lashes and delicate skin. These moisturizing pads sweep away all traces of any kind of makeup in one easy step without irritation. Great for waterproof mascara! Eye makeup remover pads sounded like the must-try items for me just because they seemed so convenient. Yes, I know, pouring some makeup remover on some cotton is not that tough a job, but it is two things to search for :D These seemed like 80 days of peace! 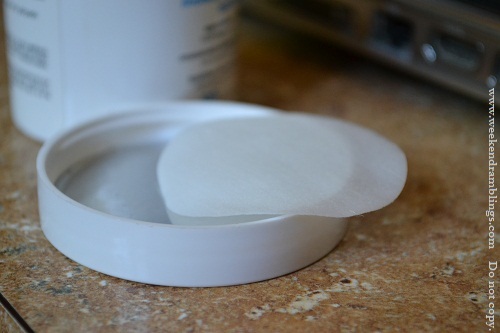 The Almay Moisturizing Eye Makeup Remover Pads come in a cylindrical plastic container - contains a stack of 80 pads. They are, as mentioned, fragrance free and didn't cause any allergic reactions on me, so I guess those claims are all true. Each of these pads comes soaked quite generously in the eye makeup remover. The first time I picked one up, I thought there was some kind of a leak somewhere - they were that soaking wet. Rather than calling them moisturizing, I would re-label them "SUPEROILY." They leave an oil slick all over my eyes and, if I am not careful, inside my eyes too. That oily residue is from just placing the pad on my fingers - not pressing - just lightly placing. 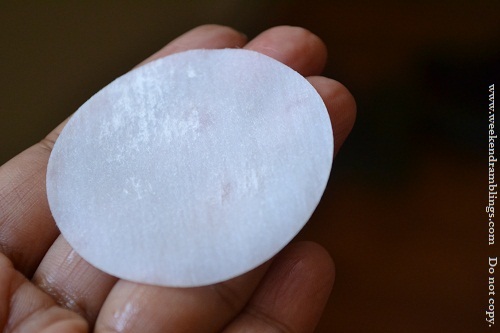 The good: These makeup remover pads will take off just about any makeup. Disclaimer though, I don't use waterproof makeup, so my statements are based on the ease with which it removed whatever water-removable makeup I used. It is superoily, and I am pretty sure it would wipe off waterproof mascara like it never existed. 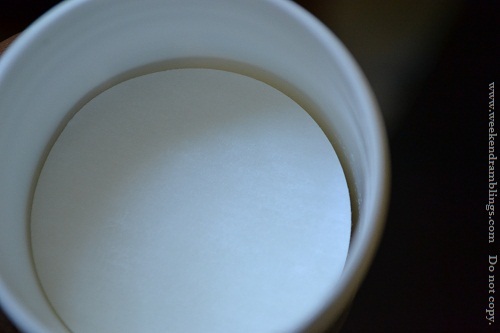 Just place over the eye, hold in place for about 5 seconds, wipe off. The bad: Like I said, it leaves an oily mess everywhere. My solution for this - I keep a clean paper tissue nearby and just dab the skin with it after using these makeup pads to soak up all the excess oil. Works good enough for me. And, oh, remember to keep the eye tightly closed. 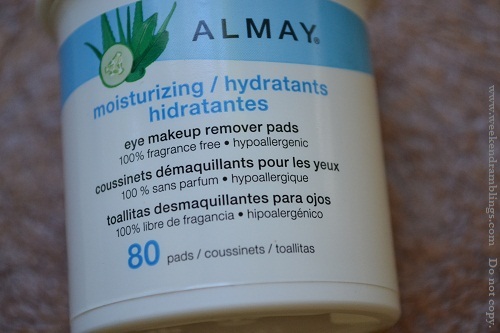 I have tried the oil-free version of the makeup remover pads from Almay, and those are quite enough to take off most of my nonwaterproof makeup, so for me, unless I am doing some heavy-duty smoky eye look (!! 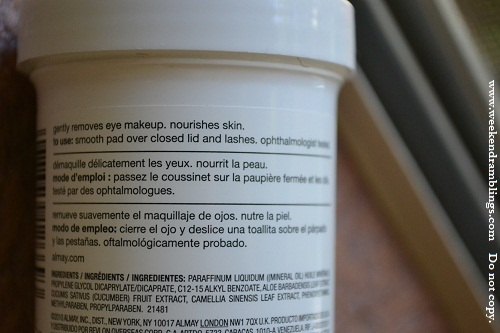 ), I won't really need this oily an eye makeup removal option. However, I would recommend giving these a try if you use a lot of waterproof products since they seem oily enough to dissolve anything. Also, they are a very travel friendly option with no hassle of leaking or spilling and are quite compact to carry around too. Ritika - I have never tried anything from VOV..only read about on other blogs..are they good? I thought VOV was really inexpensive, and then I hear ppl make fakes of that too...how much cheaper will they sell the fake for????!!!! 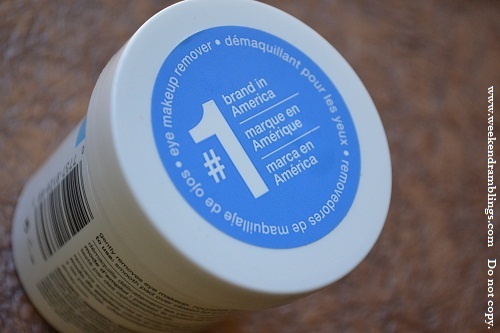 There are good for everyday use and veryyy cheap . Trust me the fake ones are way cheaper,I saw a fake VOV eyeliner pencil for just 20 bugs ! 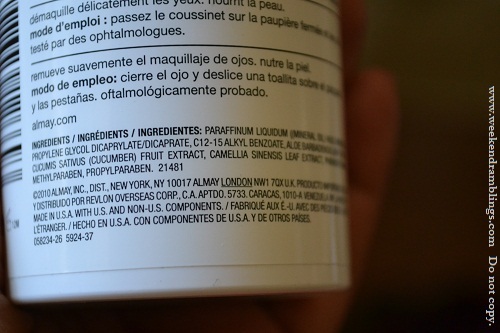 Whenever you go to buy to,just make sure its from a 'reputated' cosmetic store and there is a 'Made in Taiwan' tag at the back. The only way I could tell they were fake was just because of the fact that I know MAC does not retail in my city . I dont like the oily film..bt gud if dey work well for everyday light makeup..
Aarthi - Oh I only knew about the nail polish remover pads - so they make eye makeup removers too? They make so many things for the 1-3 dollar price..is just amazing! Target is having some sale on Friday - you think that would be any good makeup/beauty wise?